Have you ever wondered how Santa is able to eat all those cookies left for him on Christmas? 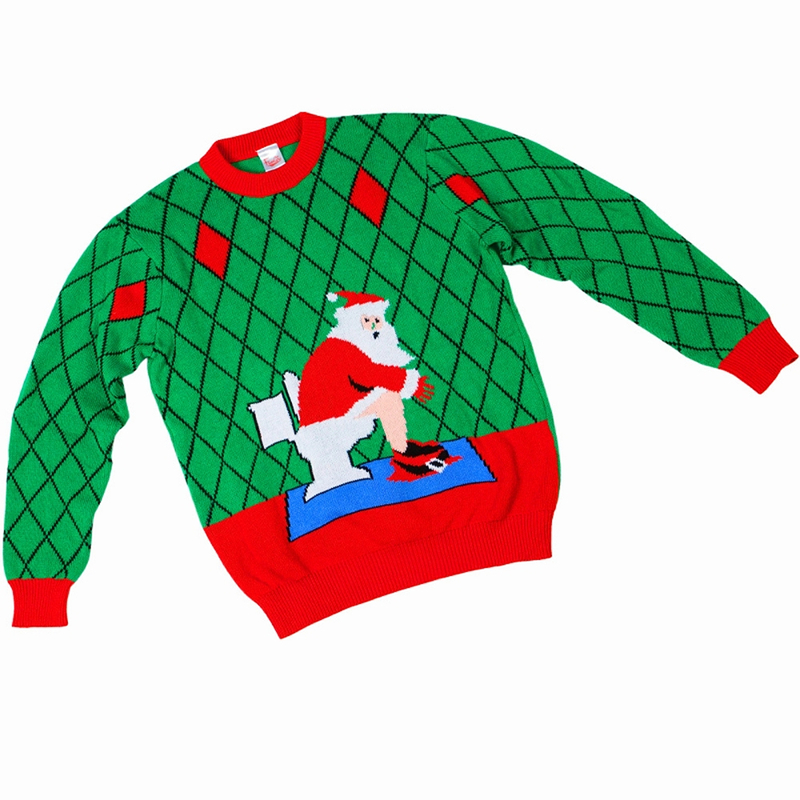 This Toilet Santa Adult Ugly Christmas Sweater is a look behind the curtain, the bathroom curtain to be exact. Made of 100% acrylic, this funny Christmas-inspired sweater is a fantastic accessory for men and women looking to bring some fun to the craziness of Christmas. 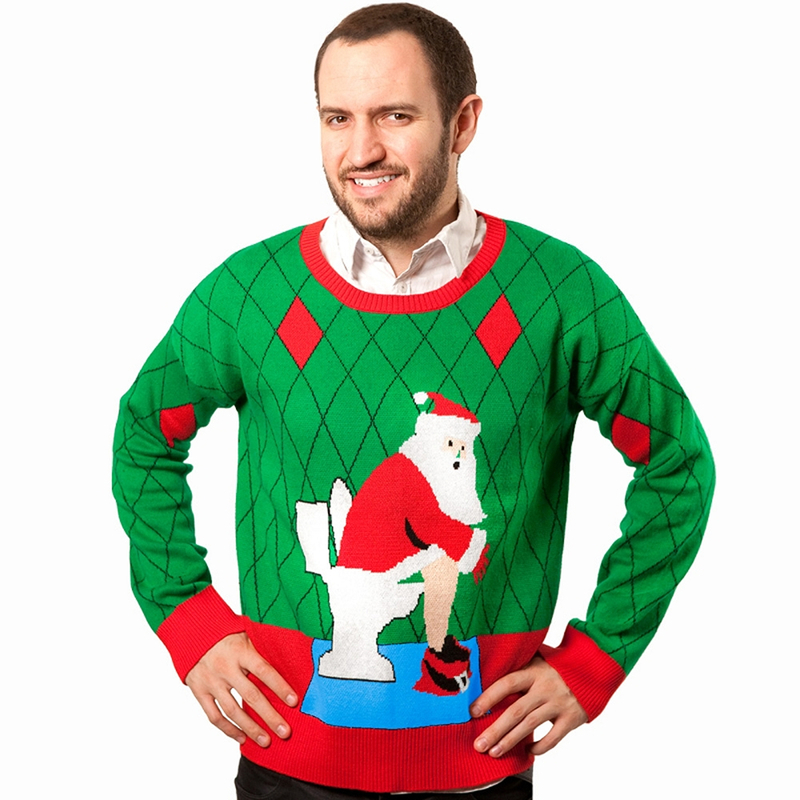 This adult sweater features an image of Santa Claus, in full costume, sitting on a toilet. In the background, the green sweater features a diamond cut pattern with some diamonds colored red. 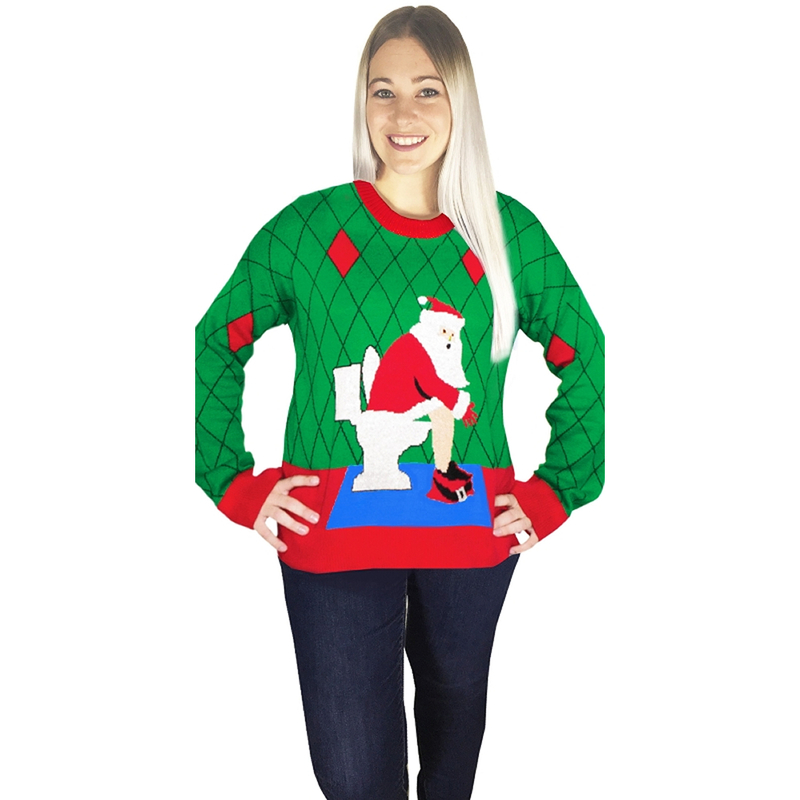 Do not flush away your opportunity to get your hands on this Toilet Santa Adult Ugly Christmas Sweater this holiday season.